Nvidia's Geforce GTX 1080 may not be the newest, most powerful GPU on the market, but that just might be an advantage for budget-conscious gamers. It still offers great speed and performance with Nvidia's Pascal GP104 architecture and has plenty of power and efficiency to deliver fast, high quality graphics. The GTX 1080 is a great option for those who need to balance performance with price. Here are some of the best gaming laptops with GTX 1080. 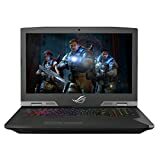 The ASUS ROG G703 Desktop Replacement Gaming Laptop is a flagship laptop for AAA games and has all the power and performance you need to replace your desktop with a sleek, stylish gaming laptop. 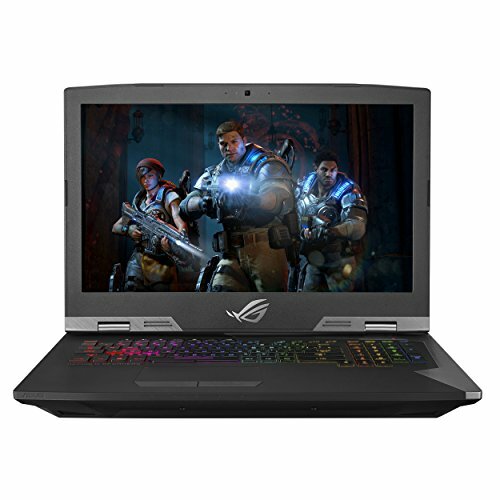 The ASUS ROG G703 Desktop Replacement Gaming Laptop is an eye-catching laptop with rugged, game-ready style. The ASUS Aura Sync technology lets you sync light effects with the ROG G703 and a host of compatible mice, headsets, and other peripherals, with a full spectrum of colors and nine different preset lighting modes to set a mood, express your personality, and enhance your game play. But the ASUS ROG G703 is more than just a pretty face. It's built for the highest gaming performance as well. It runs Windows 10 Pro with an Intel Core i9-8950HK CPU, overclocked up to 4.8GHz. The responsive 17.3 inch display has a 3ms response time and a 144Hz refresh rate. ROG-exclusive hardware lets you switch GPU modes on demand: choose Optimus mode to conserve battery life, or switch to the Nvidia GTX 1080 for the best game visuals without lag or stutter. The heavy-duty thermal system provides stable performance even while overclocking and has an exclusive Anti-Dust cooling system that expels dust to improve stability. It has 2TB of super-fast SSD storage, high speed ethernet and Wi-Fi, and ergonomically designed keycaps with 2.5mm travel distance and ROG Overstroke technology for early actuation. It even has a built-in wireless Xbox Controller Module, so you can play along with console friends. And because the ASUS ROG G703 is a laptop, you can take your gaming experience anywhere. At just over 10 pounds, with 4 USB 3.0 ports, and 1920x1080 resolution, your gaming experience is first-class anywhere you go. Power cords are short, which can impact your setup. The X is Omen's first overclockable laptop, and it's a gaming beast. Gorgeous graphics, mechanical keyboard, fully upgradable, with all the control and precision you need for competitive game play. 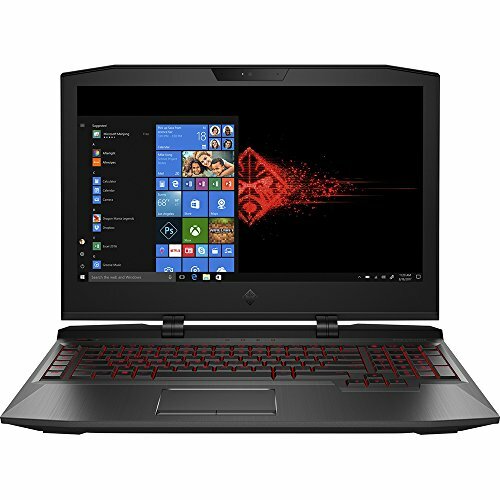 The Omen X by HP has everything you need in a gaming laptop. It's powered by Intel Core i7-7820HK Quad-core CPU, with 2.9GHz up to 3.9GHz. The 17.3 inch 1920x1080 display has an anti-glare WLED backlight, and the precise, mechanical keyboard has 2.5mm travel, n-key rollover, independent macro keys. Keyboard lighting is also customizable, allowing you to make your own ideal maps, or choose from 9 pre-programmed animation. It has a 1TB hard drive, 16GB of memory, and Nvidia G-sync technology synchronizes refresh rates for sharp, stutter-free game play. Two large, high performance fans, an integrated vapor chamber, numerous vents, and four heat pipes transfer heat efficiently away from the GPU and CPU and toward the four oversized radiators, keeping the laptop cool and allowing you to push the hardware to its limits. 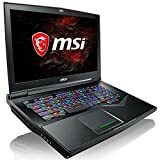 As a gaming laptop, it's surprisingly versatile, with a built-in webcam, triple display support, 3 USB 3.1 ports, a Thunderbolt port, and high-speed wireless connectivity. It has up to 5.5 hours battery life when gaming, 4.25 hours battery life when watching video, and weighs under 11 pounds. The chassis has a see-through single panel so you can quickly see and upgrade the laptop, with cool RGB lighting that adds to your ambience while you play. Backlit keys highlight the primary key function, but not secondary key functions, so you still need to know what the F keys do by memory. The MSI GT75VR TITAN PRO-202 is a gaming laptop with the features and capabilities to provide a truly immersive gaming experience, with exceptional quality in the display and audio to transport you to another world. It's the most compelling gaming experience you can get in a laptop. 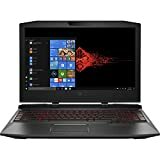 The MSI GT75VR TITAN PRO-202 is powered by an Intel Core i7-7820HK Quad-core CPU, with speeds from 2.9GHz up to 3.9GHz and an intel CM238 chipset. The GTX 1080 graphics card is boosted with 8G GDDR5X dedicated video memory, and it has 16GB of memory. It has a 1920x1080 HD display, with a wide viewing angle and True Color Technology for incredible graphics, powered by Nvidia G-Sync and Microsoft Direct X12. Graphics are incredibly clear and fast, without tearing or stutter, and gameplay is fluid and responsive. The onboard 3W Dynaudio Tech speakers plus 5W subwoofer create powerful immersive sound, driven by Nahimic 2 military technology for 3D surround sound that highlights crucial sounds while reducing external noise. The rapid mechanical RGB keys have a 25% faster response rate and give granular control over keyboard illumination. The MSI GT75VR TITAN PRO-202 has over 10 copper heatpipes dedicated to the CPU and GPU, and Cooler Boost Titan ensures peak performance every time. It weighs just under 10 pounds, and is loaded with ports, including 5 USB 3.0 ports, a Thunderbolt 3 type C port, HDMI, mini display, and audio ports. Nvidia's Geforce GTX 1080 remains a favorite among gamers, and these laptops use it to its fullest, pushing the boundaries of speed, power, and performance that you can expect in a gaming laptop.